By: Jerry Prosser, Kelley Jones (Illustrator), Barbara Kesel (Editor). 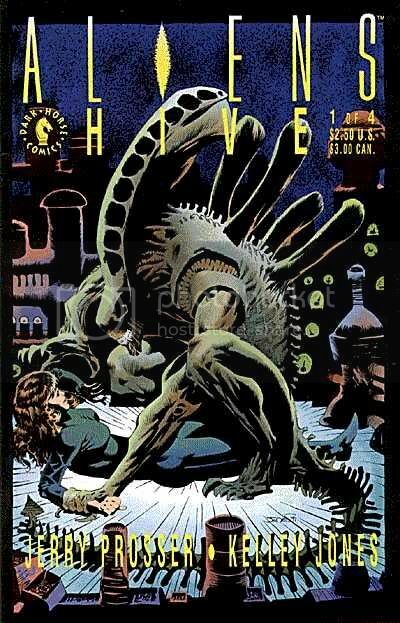 Having created a cybernetic ant able to infiltrate an Alien hive, a scientist is approached by a thief who wants to use his invention to find precious Alien jelly, in the fifth graphic novel in a series based on the popular Alien movie trilogy. Original." Stanislaw Mayakovsky once wrote a book about the cybernetic ant he designed to infiltrate an Alien hive in order to gain precious knowledge about the species. Now, a beautiful young thief has approached Mayakovsky to use his experience and expertise -- not in the pursuit of scientific knowledge, but in the pursuit of the Alien Queen`s precious jelly. The mission is a perilous one, but the motives are compelling . . . 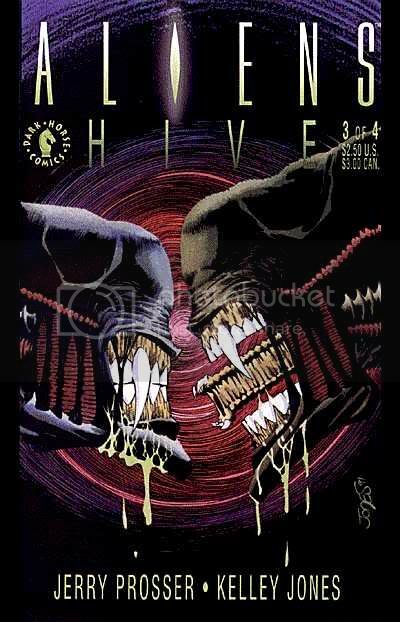 Formerly collected as Aliens: Hive, this newest remastered Aliens Library Edition features an introduction and gallery by Kelley Jones! 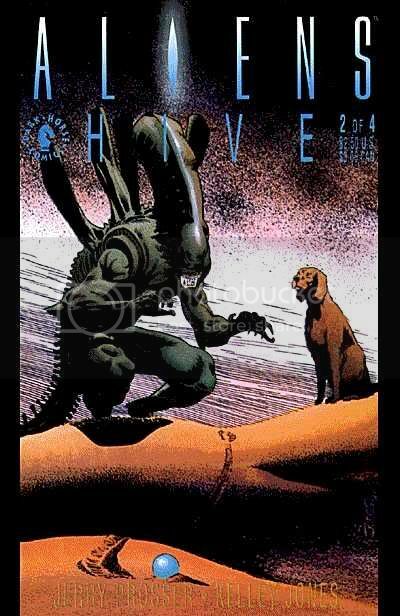 This was an unusual comic in the Aliens series. 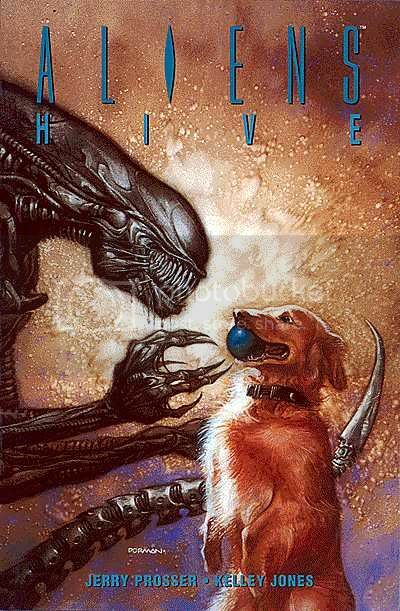 There were two great ideas of the substance that Aliens couldn't detect and the mechanical Alien to infiltrate the Hive. I've got to say out of all the comics I have read this is probably one of the best. 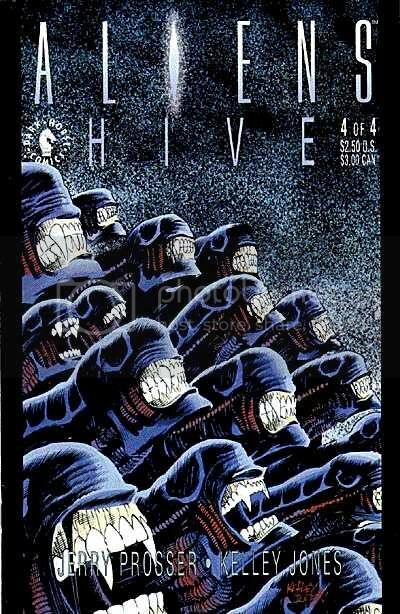 Almost as good as AvP: The Deadliest Of The Species.